MEMBERS OF A crime gang have been arrested for trying to steal €73 million worth of jade and rhino horn artefacts from museums across Britain to export illegally to China. Ten more men have already been convicted of the same crime, including Chi Cheong Donald Wong – a London-based intermediary who would find buyers for the stolen items and made frequent trips to Hong Kong. A jury in Birmingham in central England convicted the men of planning raids on auction houses and museums. The group of men involved who carried out the raids between November 2011 and April 2012 included Daniel ‘Turkey’ O’Brien, 45; John ‘Kerry’ O’Brien, 26; Michael Hegarty, 43; and Richard ‘Kerry’ O’Brien Junior, 31. They were all members of ‘Rathkeale Rovers’, an organised crime gang within the Irish Traveller community. The group’s targets had included Durham University Oriental Museum, the Norwich Castle Museum in Norfolk, a robbery at Gorringes Auction House in East Sussex and a burglary at Fitzwilliam Museum in Cambridge. None of the 18 jade exhibits stolen from the Cambridge museum in April 2012 have been recovered but a jade bowl and figurine taken from Durham’s Oriental Museum were found hidden in waste ground. Eight other men, aged between 33 and 68 – from Cambridgeshire, London, Southend-on-Sea and Wolverhampton – had all been convicted in previous trials. Two others, one aged 28 from Kent and another aged 46 from Belfast, pleaded guilty to charges in connection with the theft in March of last year and January of this year. 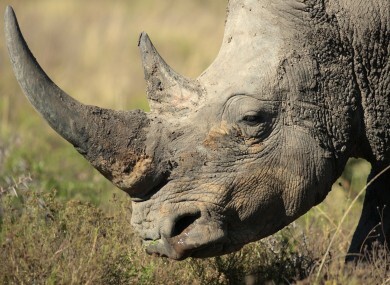 The European law enforcement agency Europol in 2011 warned about an Irish organised crime group involved in the trafficking of illegal rhino horn. The police estimate that the loot netted from the thefts would have fetched between £18 million and £57 million (€23 million to €73 million) in China (the variation in price coming down to how much they may fetch at auction). Six members of the gang were arrested in September 2013 at travellers’ camps in south east England. I am extremely pleased with the verdicts passed today and over the previous year… I hope this sends out a message that no one is untouchable. There is high demand for rhino horns in China, where they are used in highly controversial preparations of traditional Chinese medicine. In recent years, prices of drinking cups made of sculpted rhinoceros horns also have soared in the Chinese art market. Comments on this article have been turned off as sentencing is pending. Email “Irish crime gang face jail after trying to steal €73 million worth of rhino horns and other artefacts ”. Feedback on “Irish crime gang face jail after trying to steal €73 million worth of rhino horns and other artefacts ”.